When students in Tammy Angvall’s Ridgefield Transition Program (RTP) come to class, theirs is not the typical classroom experience. 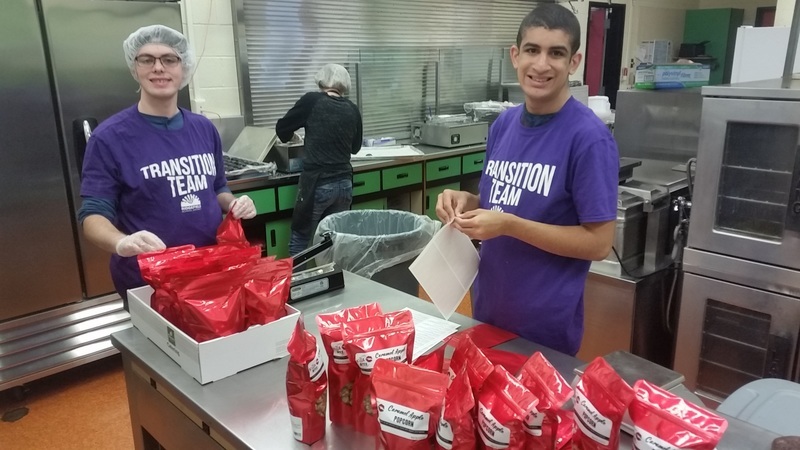 On any given school day, they assist numerous local Ridgefield businesses who, in partnership with Ridgefield’s Special Education Department, provide them with work opportunities. The RTP program teaches 18 to 21 year olds with the real-life work skills and experiences essential to living independently. RTP students (left to right): Mike Rapp and Calvin Bowen on the job at Killa Bites. 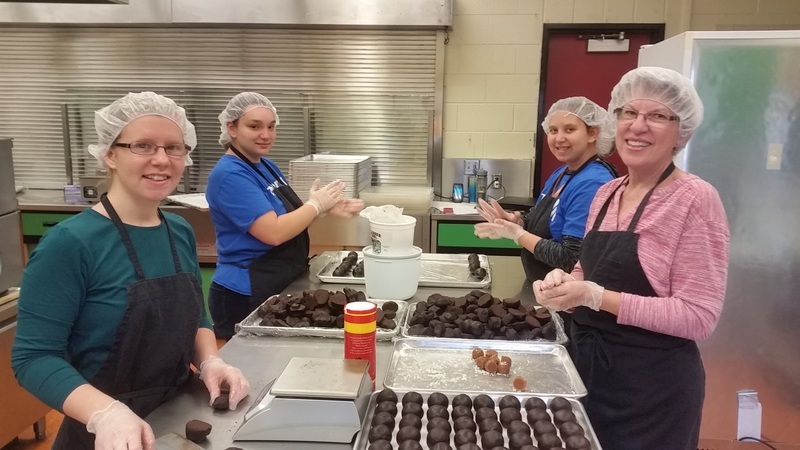 Students Tessa Castano and Katie Bradshaw (second and third from left) create cake bombs with Killa Bites crew. 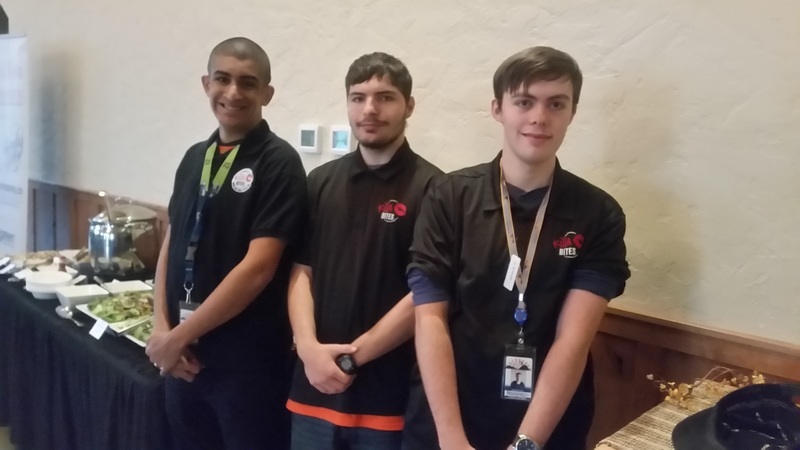 Calvin Bowen, Alex Mulligan and Mike Rapp help with catering at Killa Bites.